recipe which is ‘classic’ or even ‘traditional’. I took this week off as vacation, which means that I do some annual cleaning in the greenhouse, repotting South African bulbs and cyclamen, and cleaning out my kitchen cabinets – not very romantic. It also means that I usually order new spices and herbs, getting ready for autumn baking, pickle and canning season and the holidays when I usually realize too late that I am out of whole Nutmeg.As my order from Penzey’s Spices arrived, it came along with a free bottle of ‘Herbes de Provençe’ – a mixture of herbs common in the south of France where is is reportedly used for everything from roasted poultry to custards. But curious me wanted to know more about this herb mixture, and what I found out might surprise you ( it surely surprised me). Basic Herbes de Provence consists of just a few herbs – tarragon, thyme, rosemary and oregano, in a 25% ratio. We should all be familiar with ‘Herbes de Provençe’, the herbal mix that many American know and have, but few know how to use ( try grilled meats, egg dishes and chicken breast). We know the mixture of dried herbes as it often comes in fancy containers, sometimes with a cork lid, or an olive wood scoop, and generally found at posh gourmet stores in fancy crocks with hand-written lables. In many ways, Herbes de Provençe is over-rated, with many chefs snubbing their noses at the mixture which really, can be created with a bit of every herb found in ones pantry already, but I’ve found that with just a little research, the story behind Herbes de Provençe is more like that of curry spice mixes – the ‘idea’ existed for a long time before a commercial mix ever became available, and also like many curry mixes today, the exact recipe can be a different brand by brand, or grandmother by grandmother, as the original Herb mixture was simple gathered from ones garden or countryside, and varied from valley to mountaintop. 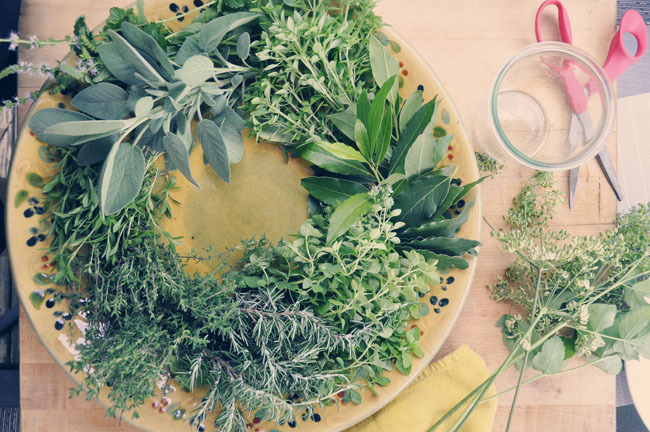 These herb mixtures can be a thumbprint of each creator, each home chef, or each grandmother. for two days! Nothing that a little Pastis couldn’t cure! Arguably, one of the greatest benefits with being both a gardener and and a cook, is that each experience is enhanced considerably if you grew the produce, and harvested it yourself, but to be honest, there exists this fact: at some point in our lives we learn that ‘homemade’ isn’t always better, more often than not, it’s the experience that is better. Drying ones own herbs can fall into either category, as fresh herbs are sometimes actually better tasting if freeze dried or commercially dried, but when it comes to fresh herbs, nothing can beat home-grown freshness, and more so, fresh picked herbs which are either ‘wild’ or oil-rich like many of the Mediterranean woody herbs like Rosemary and Thyme really can’t compare to stale, store bought ones. As these are a major component in the herb mixture known as ‘Herbes de Provençe’. I think it’s time to do one of my own comparisons. how wierd they are, at least to an American, but as our locust’s hatch this year, they suddenly make sense. First, ‘Herbes de Provençe’ is rather new on the scene, invented in the 1970’s as a commercial mixture to sell to tourists, and to export. It’ origin has some basis, as it was inspired by the wild herbs found growing in Provençe, the south western coast of France where Provençial grandmothers picked branches of Rosemary, Thyme and Savory for use in the kitchen, the truth is that French grand mere would never recognize that little jar of ‘Herbes de Provence’ sitting in your spice cabinet. It also seems that no two people can agree specifically on what herbs should be included in a Herbes- de Provençe mixture. So off I went on a journey to find out more about this mix, and then, on a journey in my own garden, so that I could make some ‘proper’ Herbes de Provençe’ to share with friends, and to keep in my cupboard. Sure, one can find jars of Herbes de Provençe in France today, but there, the standard is a commercial brand marketed under the name Ducros, and Label Rouge ( now owned by spice giant McCormick). Fancier brands in the US have ingredient that can vary wildly, but there seems to be one fact most connoisseurs of the herb mix agree upon, and that it, that it must never contain lavender, especially the blossoms. Lavender was added in the 1980’s to make mixes feel ‘French’ in both scent and feel’, ( OK< I like the Lavender in some mixes, I admit), but knowing that it was added so that it would appeal to tourists does make me want to try a more ‘authentic mix, even though I use the term ‘authentic’, loosely. Today I decided to go out into the garden, and pick herbs specifically for drying, so that I can make my own Herbes de Provence mixture. Taking in all that I have learned in my research, I feel pretty confidant that I can make a good mixture, as I have many of the oil-rich herb species required. The trick here is this: Use as many of the high summer-growing herbs, those Mediterranean species that would be found in gardens, or in the wilds of Southern France. If one thing is essential, it is this – use the right varieties of these herbs, for an inferior Thyme, such as Lemon Thyme ( Thymus serpyphyllum, will dry terribly and ruin a mix). Here are my notes on each type of herb required for a decent Herbes de Provence mixture. Feel free to switch around proportions, but I will include the rough proportions used in France per the Label Rouge web site. I am separating the herbs into groups, plants that have similar amounts of volatile oils , or drying times. Rosemary, Oregano, Savory, Marjoram, Sage, Lovage. Bay, Parsley, Basil, Tarragon and Fennel. 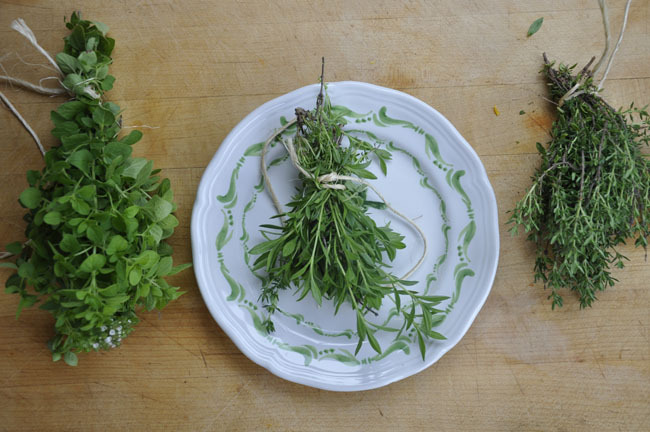 Wild Thyme, Rosemary, Bay Leaf and Savory ( Summer Savory). For what’s it’s worth, she goes on to clarify the difference between Herbes de Provençe and Fines Herbes. “Fines Herbes are comprised of fresh chervil, tarragon, chives and parsley”. Chefs worth their sea salt also know that Fines Herbes are best when assembeled and used as fresh herbs, and not dried. Note: Not one of these contains lavender. Herbs dry on the back porch. NOte the hand painted locusts on the olive urn. 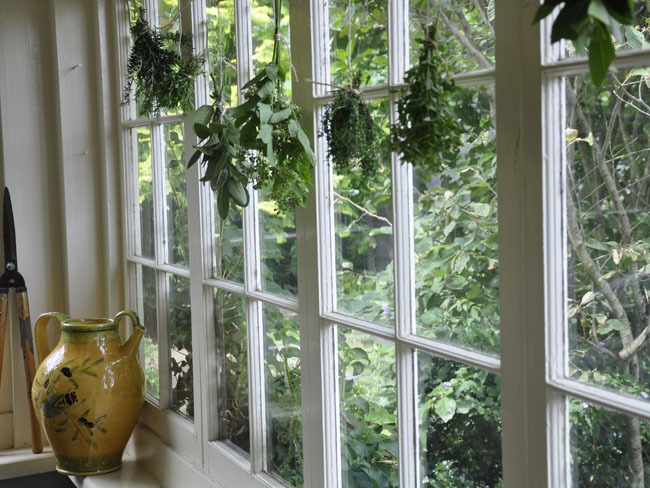 Another chapter in Larrousse de la Cuisine lists “Fennel, Rosemary, Chervil, Oregano, Summer Savory, Tarragon, Mint, Marjoram Orange zest and Lemon Zest, and that Lavender leaves can be added ‘as a benifit for tourists”. How funny. The truth is much more simple, and logical- Herbe’s de Provençe simple means “handfuls of summer herbs found in Southern France, and the recipes vary a widely from family to family, as recipes should, Let me know what your favorite mixture has in it. Thyme and other aromatic herbs drying on the back porch. These provide that essential licorice flavor found in the mix, and although some mixes include all, or none of the licorice scented herbs, the most common ones used are tarragon and fennel. Fennel seed may provide the strongest flavor, and in France, wild fennel seed is preferred, but unless you live somewhere where this grows as an escapee ( such as in California), you will have to harvest your own, or buy it. Tarragon will dry nicely, but forget about drying Chervil, it is far too tender, and like cilantro, will lose its flavor. ( if they don’t wilt, they are mature), as these will have the highest essential oil content. If you are making a fresh mix, then you have many more options to achieve the same flavor profile. 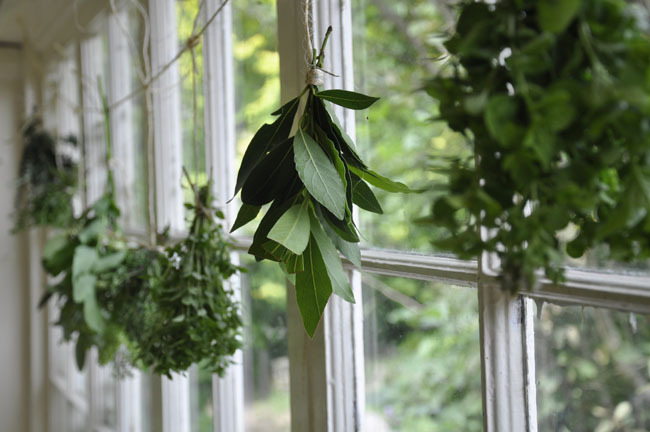 When using fresh herbs, you may choose chopped Lovage leaves, but they can be horsey, due to their size and stems. The finest fresh option is Chervil, which offers a delcate flavor profile almost unmatched as it is also somewhat floral. I would choose that as the finest option for that authentic mix, Remember, never dry chervil, fennel fronds or lovage, for all you will have is hay-scented herbs with only a hint of licorice. 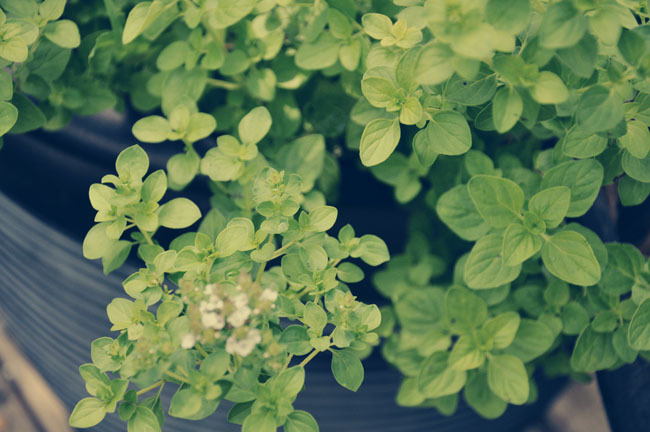 Finding the proper oregano may be your greatest challenge, as most commercial garden varieties found in the US are not the true culinary oregano we find at pizza parlors or even at the market. Look first for a type that will return year after year, and as Oregano in the world of Provençe most likely means ‘wild oregano’, an Oraganum species found growing throughout the mediterranean. At nurseries, look for Greek Oregano, or Oreganum vulgare. What you want here is a rich, strong-flavored oregano that will hold its flavor once dried, and, an oregano with flavor. Lemon oregano, orange oregano and any of the fancy types won’t do. In drying oregano, one must wait until late in the growing season, when the plant is blooming, as the floral buds and blossom ends contain the richest amount of volatile oils. Leaves have the least. Look for varieties that have woodier stems, and not green stems that will wilt when picked. 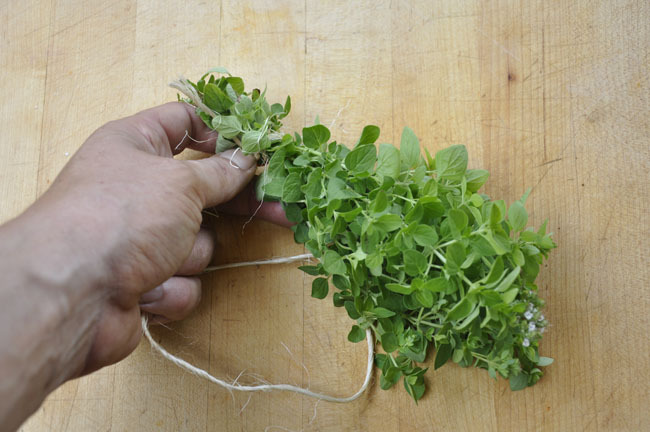 A proper oregano branch should be woody, stiff and intensely fragrant. A bunch of dried oregano in bloom, should only be rubbed gently between ones hands, to release the fragrant leaflets near the blossoms. Sage can vary, as of course, it is a Salvia. I find that culinary sage can vary from plant to plant, so when buying plant or growing your own from seed, test them all, to find your favorite. Some new hybrids are excruciatingly horrible in scent ( especially the thin-leaved dwarf forms). Find a good sage, and stick with it. I know it is strong, and hard to find a good use for ( but I do reccommend the recipe for Frittata in the Al Forno cookbook Cucina Simpatica by food geniuses Johanne Killeen and George Germon – my favorite cookbook in the world, in which every page is stuck together and the cover has been missing for years! It will make you adore sage and eggs. Cucina Simpatica gave me a gift, and that gift was a love for sage beyond Bell’s Seasoning.). 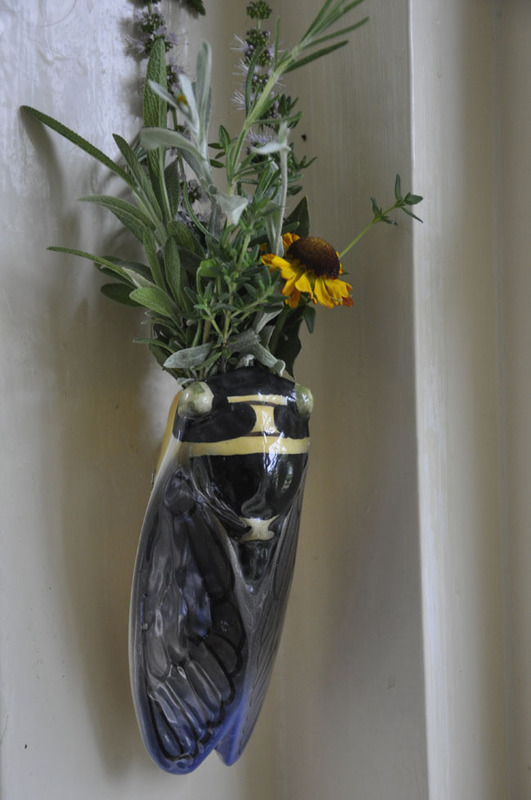 Herbes de Provençe hang on a breezy, airy porch near our kitchen entrance where the sun never shines. When the French write about Savory here, they are referring to the one gardeners know as Summer Savory. In seed catalogs and at some nurseries you may find something called winter savory, it is woody and has a fuzzier leaf. Summer Savory has a smooth leaf, and if you are not growing this herb already, I urge you to. I never eat Zucchini without it!. Both are eventually woody shrublets, but winter savory is so much more hairier and greyer, and it has a skunky and bitter taste which makes it less palatable. Summer savory must be grown from seed, or from plants if you are lucky to find it. Harvest before it blooms, or in late summer when the new growth has begun to harden off. Again, volatile oils is the goal, and these mature as summers end. 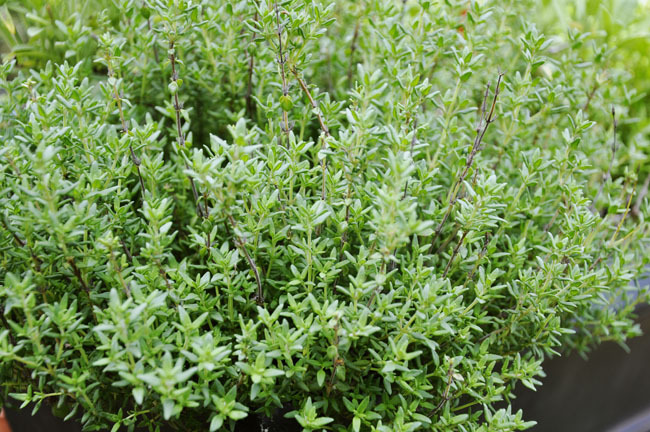 Choosing the perfect Thyme means doing a little more research – the wrong thyme can ruin everything. Thyme seems to be a lose term at most garden centers, so proceed carefully. The thyme species you want is Thymus vulgaris, not Thymus serpyphyllum. You can tell the difference sometimes from the labels ( variegated Thyme, Golden Thyme or Lemon Thyme, are all T serpyphyllum – it has a wider leaf. Thymus vulgaris is more woody, especially near the end of summer, as as a culinary thyme, it has leaves which are often rolled, or smaller. If in doubt, the scent will give it away, as T, vulgaris cultivars that are best for cooking have crispier leaves, full of essential oils. Never use the Wooly Thymes, T. pseudolanuginosus. 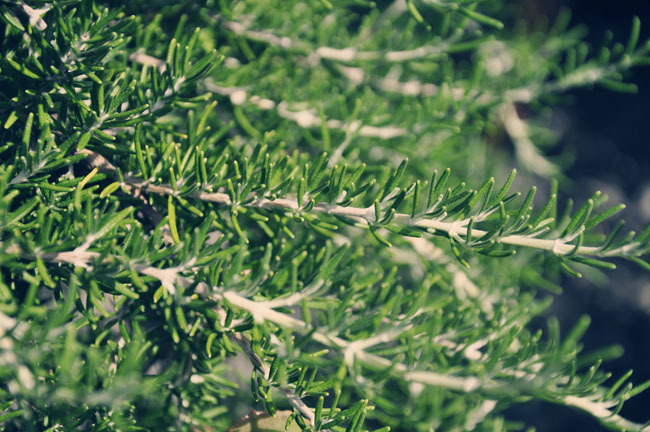 Rosemary varieties are more versatile, as most are so similar, with varying degrees of oilyness. I use a prostrate from, with semi-mature stems that are half green, half woody near the end of summer – they are often so sticky with oils when I pick them, that I need to clean my snips. Rosemary can be harvested anytime of the year, but I find that growth which is almost mature has the finest flavor when dried, and is less likely to turn into sharp ‘pine needles’. Bay laurel is easy, as long as you have the true Bay laurel. Laurus nobilis. 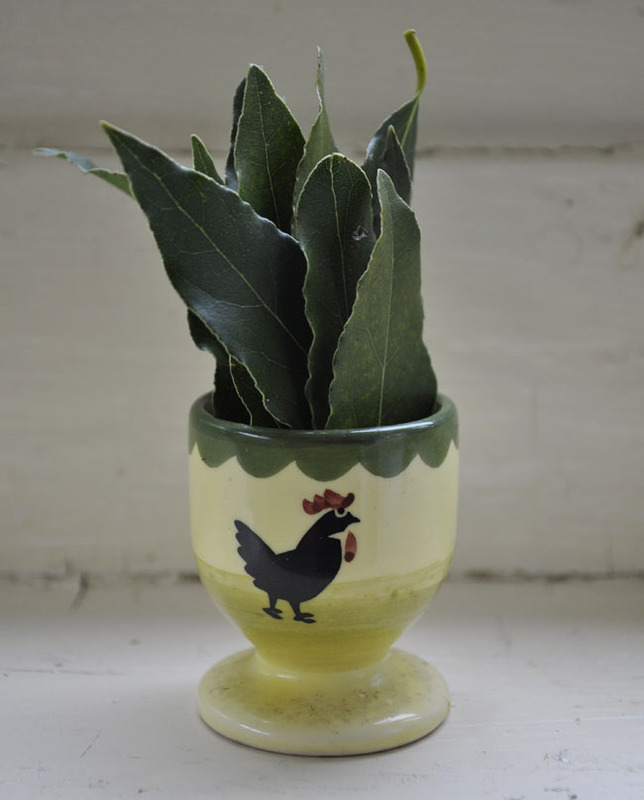 Many plants have common names with the term ‘laurel’ but some are poisonous, or at the very least, inedible. I harvest my bay laurel leaves just as the mature in August or September, as young harvested while too young will dry with a brown color. No need to string them up, I simply place them in egg cups on a breezy porch out of the sun, and they will dry in a few weeks. for drying. 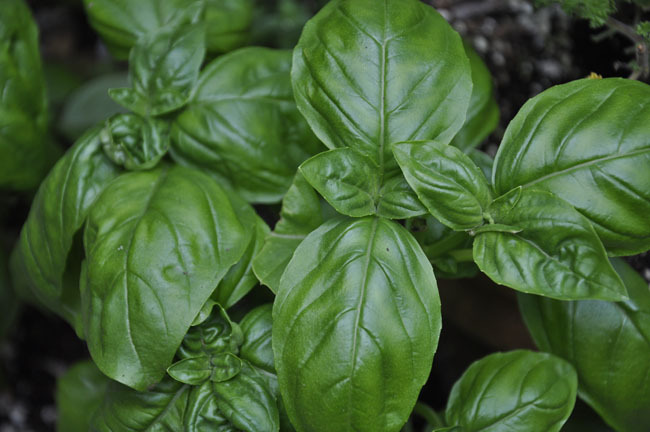 Still, I rarely dry basil, opting to either only use it fresh, or eliminate it from the mix. As dried herbs, these are basically filler, I believe. For we all should know by now that dried basic is horrid, and dried parsley is barely fit enough for a caged rabbit. Use these only if you are making a fresh mixture, otherwise, leave them out. 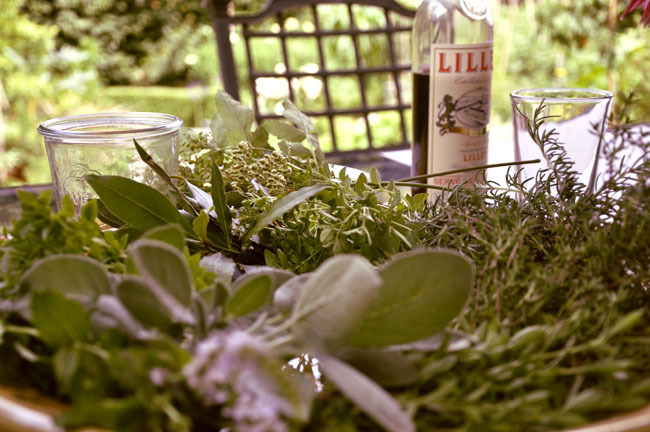 Please share any of your favorite recipes for Herbes de Provençe. Do you like lavender in yours? DO you use other herbs in your mixes? 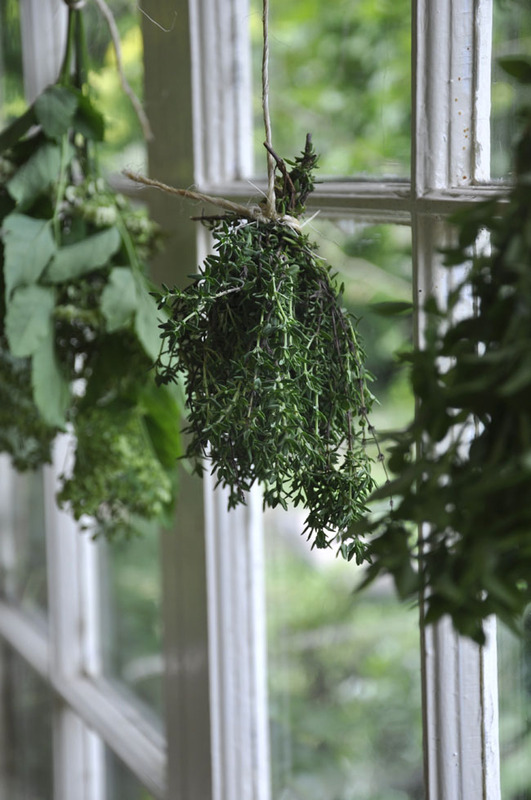 Do you microwave your herbs, or dry them in the oven?